When three North Myrtle Beach police officers started their shift, they didn’t expect to gain media attention after two of their cruisers were involved in an accident, but that’s exactly what happened. The two cruisers containing the three officers had stopped for traffic on U.S. 17, near Main Street. The driver of a blue Cadillac didn’t see the stopped cruisers until she rear ended the second one, driving it forward into the first cruiser in line. The three officers as well as a civilian woman were transported to the nearest hospital for medical treatment. Two of the officers were released shortly after being admitted. “Accidents like this are more common than many people realize and they can happen in the blink of an eye. 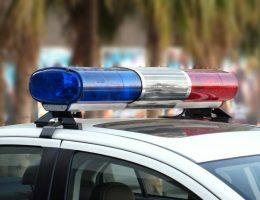 Since the odds are pretty good that the only thing the Cadillac’s driver did was take their eyes of the road for a second, the issue of financial liability can be difficult to unravel. That’s where I come into the picture,” said Joseph Sandefur, managing partner of a top personal injury firm with an office headquartered in Myrtle Beach. “I help the victims regain the financial losses they suffered as a result of accidents such as this one. 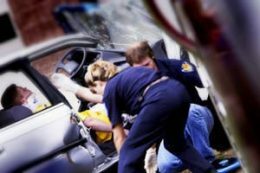 Automobile accidents that end in death and injuries are a great deal more common than you might think. The National Highway Traffic Safety Administration revealed that in 2014 alone, 2.3 million people admitted to hospitals for injuries sustained as a result of a car accident. That same year there were 32,675 deaths connected to traffic accidents. One of the really difficult things about traffic accidents is that when a person is involved in an accident, even one that doesn’t involve the use of drugs or alcohol, they often go into a state of shock that effectively mirrors and symptoms of injuries they might have. It isn’t until they get home and start to relax that they start realizing that something isn’t quite right and that they need to see a doctor. When this happens, you need to keep everything the doctor provides you with connection to the accident so that if you decide to file a personal injury lawsuit against the person who triggered the accident, you’ll have the documentation available to back up your claim. The more documents you can provide, the better. 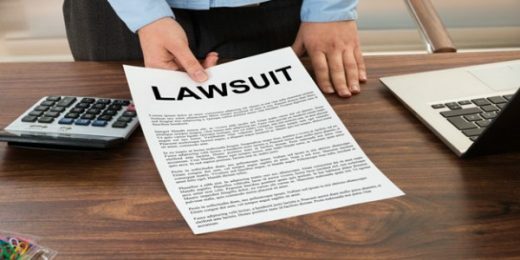 If you intend to file a personal injury lawsuit, it’s in your interest to meet with an experienced personal injury lawyer as soon as possible. Since it’s up to you, the plaintiff, to prove your case, your attorney will want to launch their own investigation into the accident as quickly as possible while the incident is still fresh in witness’s minds. You can learn more about your rights after a personal injury by visiting https://joeandmartin.com/myrtle-beach/. 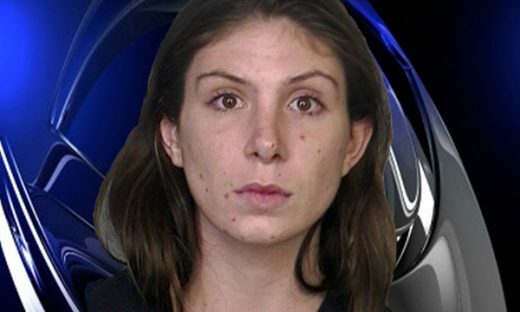 The lives of two homeless men were tragically cut short when they were struck by a drunk driver According to the Sun Sentinel, 22 year old Alyza Rachel Russell is believed to have struck and killed both men while she was behind the wheel of her mother’s Porsche Panamera. The accident occered when Russel tried to turn left off Broward Boulevard onto SW 5th Avenue. When she failed to execute the turn, her car shot through a hedge and into a parking lot. Ft. Lauderdale police said Russell was driving west on Broward Boulevard around 2 a.m. when she attempted to make a left turn onto SW 5th Avenue and head south. Russell couldn’t finish the turn and drove her Porsche Panamera through the hedge of a parking lot where both Samuel Artez Martindale, 35, and Mackendy Jules, 30, sat. Russel’s Porsche struck the two men. A third man who was seated in approximately the same place managed to avoid being hit. The two passengers in the car with Russel weren’t hurt. Mackendy Jules, 30, and Samuel Artez Martindale, 35, were sitting with a third person in the parking lot when the Porsche crashed through the area. Both Jules and Martindale were hit, the third person managed to escape. “This is a clear case of hit and run situation that need to be resolve as quickly a possible .” Says officer Mclain. Despite the fact that the criminal case against Russel hasn’t gone to trial, the insurance company the family uses agreed to pay a $2 million settlement to the families of the men. The money is designed to cover legal expenses, funeral costs, outstanding debts the men left behind, and pain and suffering. Following the accident, officers tested Russell’s blood alcohol level, which at 0.17 was more than double Florida’s legal limit. If an immediate family member you loved was killed as the result of someone else driving while under the influence of alcohol, you owe it to their memory to book a consultation appointment with John Bales personal injury lawyer and explore the possibility of persuing the case through the civil court system. When energy-efficiency engineer Phani Guthula went to work at the Rodin Museum, a part of the Museum of Art, in 2012 he expected it to be just another normal work day. 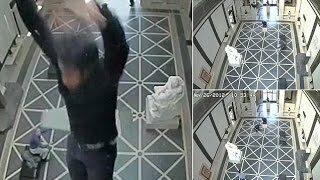 Things changed rapidly when he was inspecting the light fixtures in the attic and fell through the museum’s unsecured glass attic floor. He tumbled 38 feet before landing. The amount of trauma done to Guthula’s body, both from the fall and the broken glass was extensive. His survival required a month and a half long stay in the hospital where he received more than 15 surgeries. Its anticipated that he’ll require medical care for the rest of his life. He thinking someone birth trauma lawyer to go for help. As more details about the case and Guthula’s fall surfaced, it became apparent that during the renovation, the protective railings that should have prevented people from stepping on the glass floor weren’t where they belonged. It was also revealed that the security team that should have advised Guthula about the hazards of walking and standing on the floor were both uninformed about the potential danger and not as attentive as they should have been. A warning sign had never been set up near the floor. 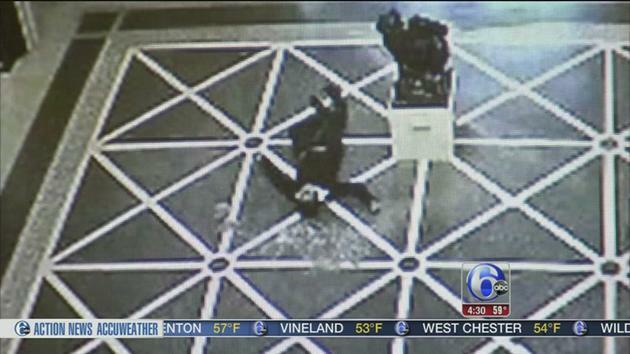 A surveillance video had been running at the time of the accident and captured Guthula’s tumble. 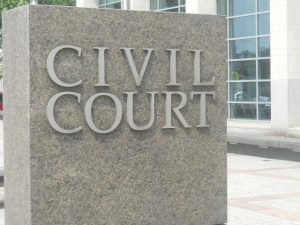 Despite negotiations, it didn’t appear that the plaintiff and the defendants would agree on a settlement and that the case would go to court, then just before members of a jury were to be selected to hear the case, the defendant’s lawyers proposed a $7 million settlement that the plaintiff accepted. The money will be used to provide the financial support needed to sustain Guthula’s medical care and make up for his inability to earn wages. 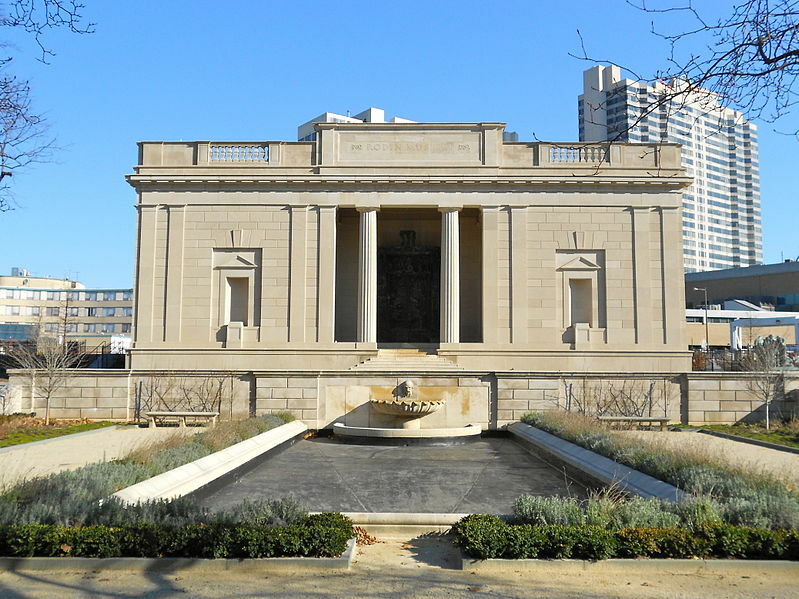 Although the Museum of Art did agree to the settlement, the also released a statement in which they stated that several of the topics mentioned in the plaintiff’s personal injury claim weren’t true and that they had taken safety precautions before Guthula’s accident. For Guthula, the settlement offers a fresh start and a way to move on after the tragic accident. While no amount of money can replace the opportunities he lost due to his injuries, it does help provide for his medical care and sudden loss of income. Courts all over the country have been filling up with Mirena IUD lawsuits. Most of these cases claim that the long term birth control device created a perforated organ or the woman developed an ectopic pregnancy. However, one lawsuit that was filed Maryland on March 11, 2016 is different. In her paperwork, the plaintiff states that her use of the device led to the development of idiopathic intracranial hypertension (IIH). Daphne Houck is the woman who filed the lawsuit against Bayer Pharmaceuticals. According to Houck, she first realized she was in trouble when she started getting pressure headaches which triggered a variety of vision problems that range from vision loss to an inability to tolerate much light. Eventually, her doctor made the diagnosis of papillary edema which meant her optic nerves were swollen. Houck was sent to the hospital where MRI’s and CT Scans were used to check for intracranial abnormalities that might explain her symptoms. The timing of her conditions developing and the implantation of the Mirena IUD device makes everyone suspect the device is responsible for her condition. Intracranial hypertension is a serious medical condition that develops when cerebrospinal fluid increase. The more the fluid levels increase, the more pressure builds up on the skull, which creates symptoms that mimic brain tumors. Symptoms frequently range from migraines to vision problems, to tinnitus, and swollen optic discs. In some cases, intracranial hypertension results in permeant blindness. 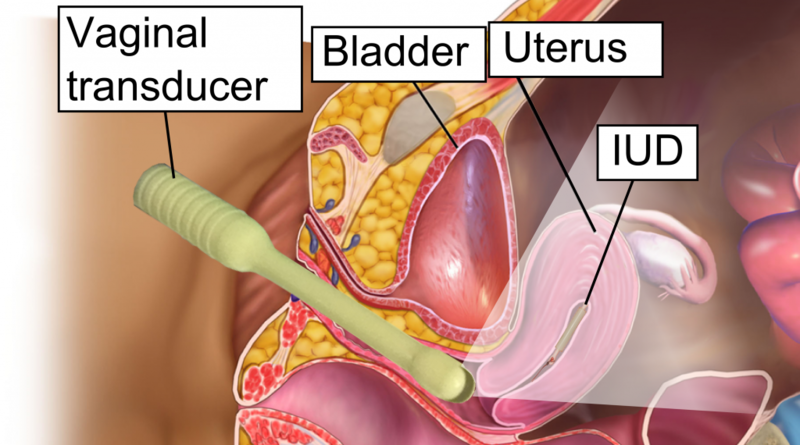 Houck has filed the lawsuit on the grounds that Bayer failed to warn her that using the Mirena IUD device could trigger the perfect situation for intracranial hypertension to develop. She’s accusing the company of breach of warranty, negligence, failure to provide adequate warnings, and defective design. In addition to wanting her medical expenses covered, Houck is also seeking punitive damages. 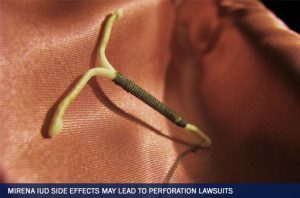 Although most press coverage of Mirena IUD lawsuits focus on organ perforation and ectopic pregnancy, Houck’s lawsuit isn’t the first of its kind. 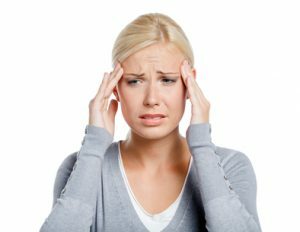 Drug information research indicates that many women have filed lawsuits that their Mirena IUD triggered migraines and intracranial hypertension. If you have used a Mirena IUD and feel that it has compromised your health, the best thing you can do for yourself, after seeking medical assistance and having the IUD removed, is arranging a consultation appointment between yourself and an experienced attorney. Based on the information you provide the attorney; they will advise you as to whether or not you have a solid reason to file a Mirena IUD lawsuit. It you do, they’ll guide you through the process, from the moment you decide to file the paperwork until the moment you get you settlement. Don’t spend a great deal of time trying to decide if you want to take legal action against Bayer. As many women are starting to learn when they go to court, judges all over the country are willing to dismiss the case if the woman waited to long to file the paperwork. Since the statute of limitations can vary from one state to the next and the wording can be difficult to understand, the sooner you get the paperwork filed, the better off you’ll be. Darelle Red Bear had the perfect teen life. He was an active teen, playing sport, riding horses, and spending as much time outside soaking up life as he possibly could. Everything took a dark turn on the night of his junior prom. The gregarious teem left home to attend to the prom only to disappear with four classmates. They were missing for four days. When Darelle returned, he was disabled. It didn’t take long for his parents to realize they could no longer care for their son. In the papers they filed that led to Darelle’s involuntary admission to the Yankton State Hospital they cited instances of him talking to people who weren’t there while also inhaling the fumes of gasoline, paint, and other substances. Most alarming were the periods of violent outbursts he’d unexpectedly have. For several decades, Darelle lived in a group home before he died suddenly after choking on vomit. It didn’t take long for Darelle’s siblings, who still loved their brother very much, to suspect that neglect was to blame for his unexpected death and they filed a lawsuit against the Southeast South Dakota Activity Center in which they demanded $2.27 million dollars for alleged negligence. During the trial it was revealed that Darelle had been ill for several days before he died and in the lawsuit, the family stated that they felt the SESDAC should have taken steps to see that their brother got medical treatment instead of simply ignoring the situation. The defense the SESDAC launched was that although they knew Darelle was ill, they never felt that the symptoms became bad enough to warrant further medical treatment. They were sure he would recover on his own. They also questioned the family’s motivations behind the lawsuit, stating that the family never seemed very concerned about Darelle while he was alive. They claim that not only did the family never come to see their brother, but they also failed to send him any letters or presents. It took the siblings four months to even learn that Darelle had passed away. The family sites financial hardship and emotional pain as the reason they never visited, and point out that their attendance shouldn’t matter. The SESDAC was entrusted with the care of Darelle Red Bear and in the end, they failed him. Any wrongful death attorney in Tampa will tell you that the strict definition of a wrongful death is a death that occurs as the result of someone failing to care for the situation properly, either through a mistake or neglect. In a perfect world, this type of death would rarely happen, but every wrongful death attorney Tampa knows the world is far from perfect which is why each year there are more than 90,000 deaths in the United States connected to medical malpractice, and that’s not including situations like Darelle were caretakers failed to recognize just how ill a patient was. If someone you loved has fallen victim to a wrongful death, the best way you can honor them is contacting a wrongful death attorney in Tampa and taking legal steps to make sure such a tragedy never happens again. No one wants to find themselves in front of a desk littered with tax forms and receipts, staring at an IRS agent. A tax audit can be a nerve-racking experience and generally, if you fill out every form correctly and send in all the right paperwork, meeting an IRS agent shouldn’t be a big deal. However, money is a touchy subject and IRS forms are—how can we say this nicely—tricky. 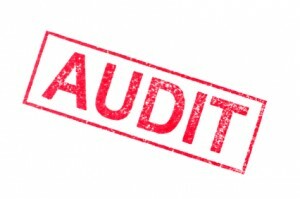 How can you lessen your likelihood of being audited? While there are definitely some red flags, which we’ll discuss in a moment, sometimes it is pure chance that you are chosen for an audit. If that’s the case, always completing your tax forms correctly and honestly is your safest bet to getting out of that IRS office as soon as possible. If you feel uncomfortable handling an audit by yourself, a tax resolution service of knowledgeable tax attorneys may be able to help you. Most trustworthy tax law firms offer a free consultation that will help you better understand their services and how they can help you. Donations: Whether you’ve donated your car to a Veteran’s group or some clothes to the Goodwill, noncash donations in large amounts can raise eyebrows. Carefully follow the instructions for valuing your items and keep donation receipts for proof. Most nonprofits are happy to provide a receipt of your donation, but you’ll need to do the research for valuation. Travel and Entertainment: If you travel for work and are used to deducting the costs of your meals and entertainment—beware! Make sure to keep your receipts and really consider whether your expenses are work related or not. High travel and entertainment deductions can make you stick out like a red thumb. Real Estate Losses: While you can’t really help it if you have a real estate loss, you can be prepared for the extra attention it will garner. Keeping records of your time throughout the year will make tax time easier. Remember, don’t just focus on how much money you spent fixing up your properties, but also how much time you spend involved in real estate activities. 1099s, K-1s, and Schedule Cs: Contractors and business owners will probably recognize these tax forms. Many times there are multiple 1099s to file. Make sure each of them is accounted for and reported, regardless of how small the amount on the form may be. The same goes for K-1 forms. Unfortunately, Schedule Cs are big red flag. Before filing, make sure that is the correct form for you business and do your best to keep meticulous records throughout the year. Tax time can be a stressful part of the year as you begin to determine what’s deductible and what’s not, as well as how much you’ll be paying or receiving as a refund. You can set yourself up for success by preparing for taxes year round with good organizational habits and some accounting know-how. While we can keep an eye on some red flags, we can’t know everything the IRS is looking for or why they may decide to audit any one particular person. If you find yourself in a situation where you think you may need legal advice about a tax problem, it is important to contact a reputable tax relief law firm to help you tackle your audit head on. Most IRS correspondence is time-sensitive, so make sure you contact a tax attorney as soon as possible.